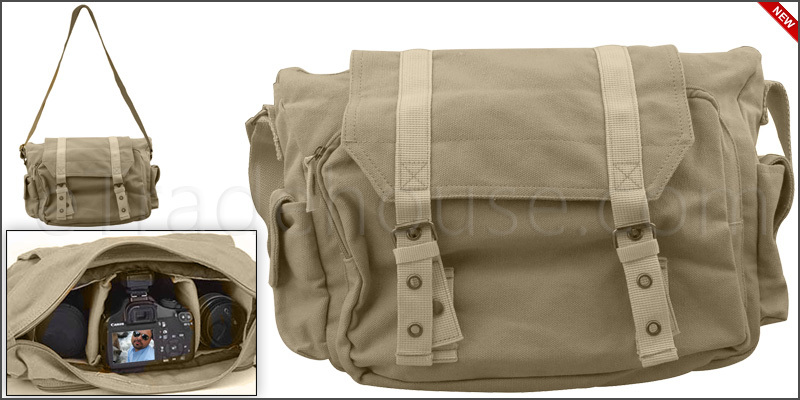 This shoulder messenger bag is ideal carrying a digital camera and equipment up to 30 x 13 x 10 cm. It is suitable for different digital DSLR and SLR camera models. Water resistance camera shoulder bag. This shoulder messenger bag is ideal carrying a digital camera. It is suitable for different digital dslr and slr camera models. Main compartment with zipper opening. Can be used as a casual bag. This bag will demonstrate your vintage taste, showing a strong impression of casual and nostalgic. Bag inside padding is made of pure cotton, thick and soft, giving good protection for camera and lens. Made of canvas with adjustable shoulder strap. 1x Canvas Shoulder Case Messenger Bag.